A special event for Secondary Schools studying the First World War on Monday 9th November 2015. The aim of ‘Spark of Interest – the First World War’ is to reinvigorate an interest amongst students in the First World War, using different themes and angles to approach the topic or expand on what they already know. The day comprises of short, well researched talks by ERO experts and guests. All talks will include primary sources. Cost: £10 per student. One teacher/adult supervisor free per 10 students. Additional adults £10 each. Bookings can be taken for whole classes or for smaller groups. Students from years 7-11 should be accompanied by a teacher. A level students may attend on their own. You can also download our FREE First World War resource pack to start using Essex primary sources in your classroom. Students can browse the temporary exhibition by The Last Poppy Project, which tells the story of individuals, families and communities during the First World War using local sources. Early birds can hear about the origins of the poppy as a symbol of the First World War and subsequent conflicts. At one hour this will be the longest talk of the day and equip students with an introduction or reminder of the events of the First World War, with a particular focus on the army and trench warfare. The talk is illustrated by a wealth of real and accurate replica artefacts from the era. Carefully documenting his life Colonel Whitmore collected newspaper cuttings and took photographs. 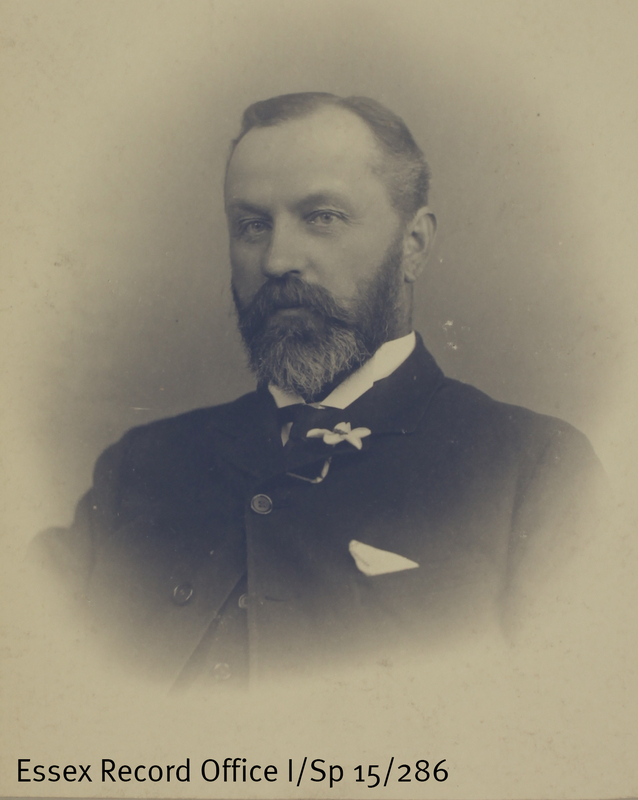 This wealthy and influential man strongly encouraged other members of his community to join the fight in the First World War in the beginning. He saw action himself – was shot twice and suffered shellshock. Through his story students can see the successes and regrets of this interesting, compassionate gentleman. 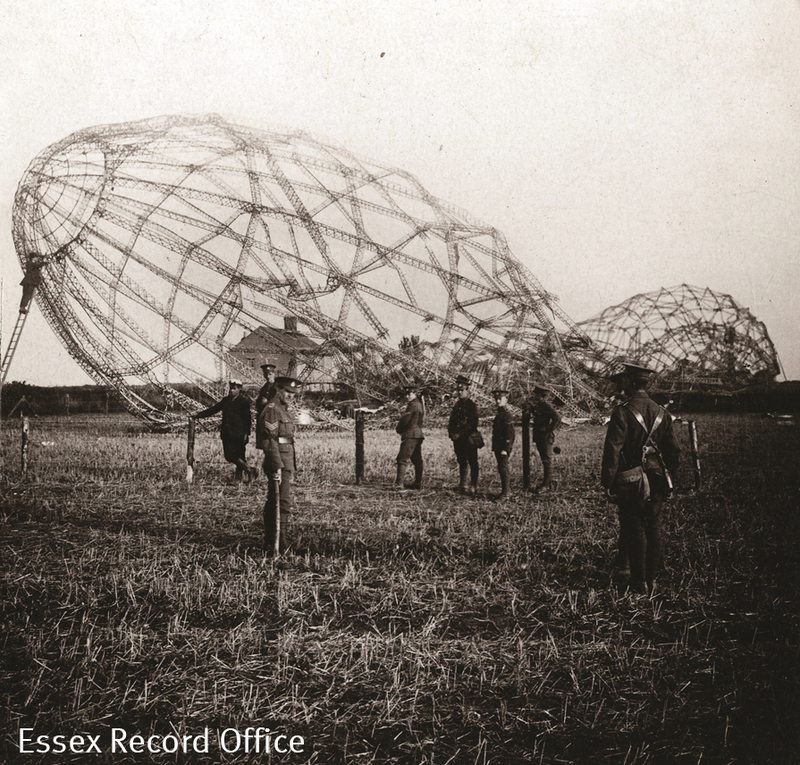 The story of Essex residents perceived as ‘the enemy’ during the First World War. 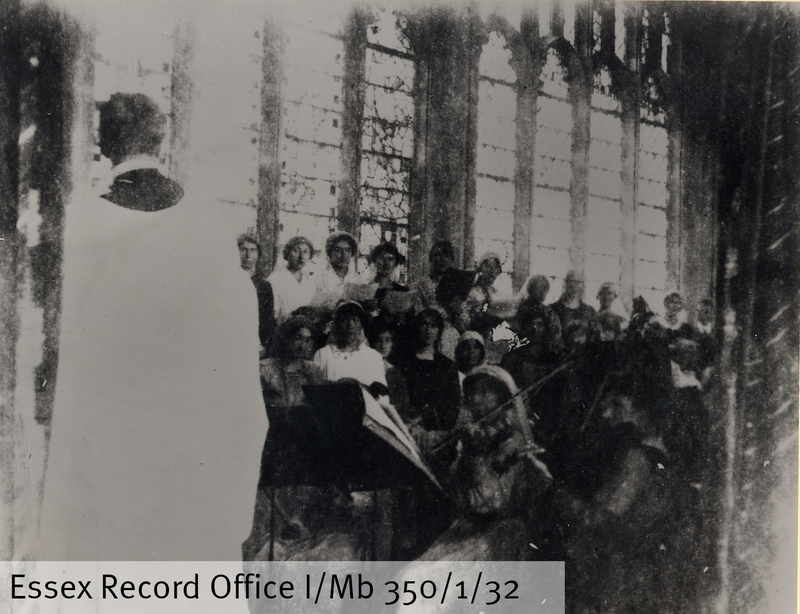 Composer of the Planets Suite, Gustav von Holst, conducting in Thaxted church in 1916. Even though he was born in England, Holst’s Germanic name meant that he was watched closely and reported to the Essex authorities during the First World War. 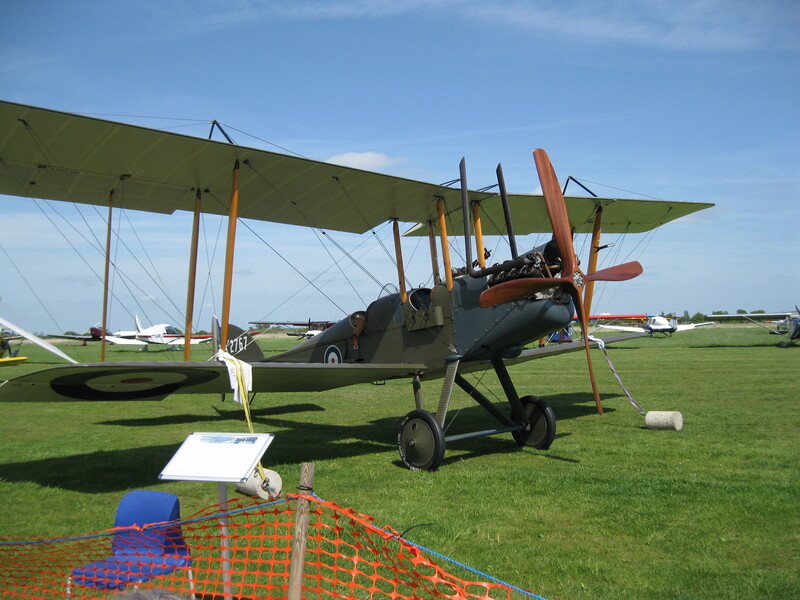 Technology took leaps forward in the First World War and the newly invented aeroplane, previously the plaything of the rich and reckless, evolved into the reconnaissance, fighter and bomber that changed how wars were fought. Using the sound archive students will hear the recorded memories of people who lived through the First World War, including stories of zeppelin crashes and the first air raids. 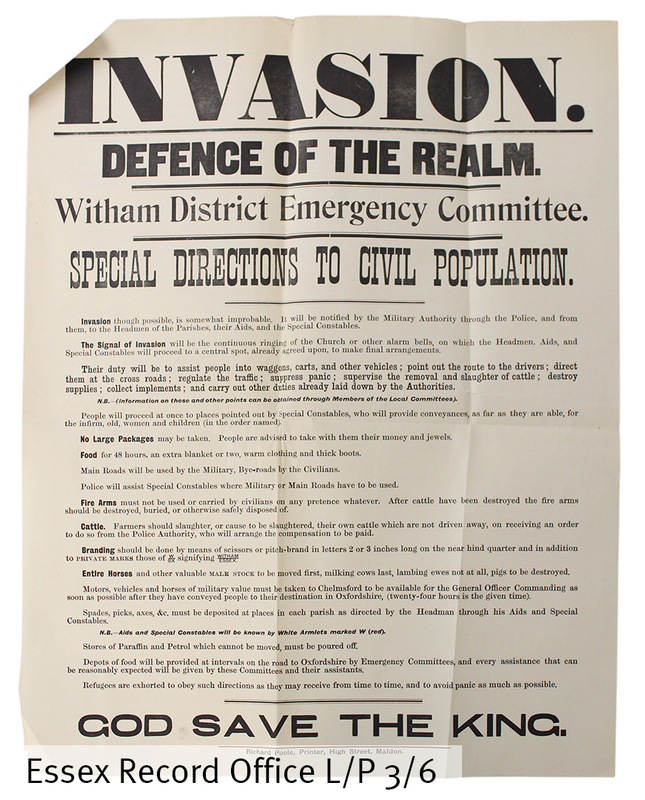 The words of a First World War poster alert the residents of coastal regions of Essex to their proximity to the Western Front. Students will be shown lesser known sources that tell us about the planning and preparations that were put in case of invasion. This entry was posted in Archives, Education, First World War and tagged First World War, Holst, schools, World War One by admin. Bookmark the permalink.